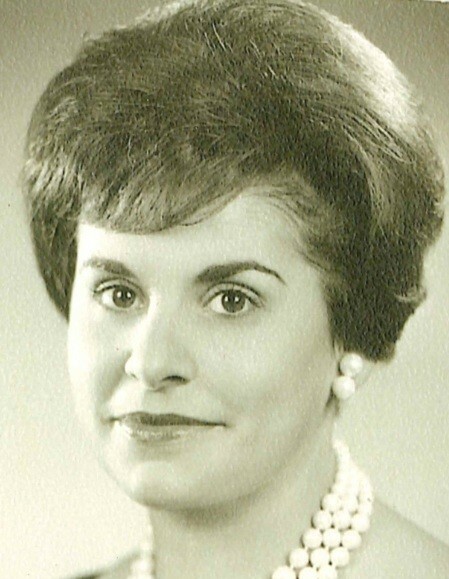 Mary Geraldine Trickett, 79, of Frederick, formerly of Washington, DC, died Monday morning, February 4, 2019 at Frederick Health and Rehab Center. Born in Washington, DC on November 10, 1939, she was the daughter of the late Iolanda and Allen Trickett. She graduated from Immaculata Junior College in 1959. Geri, as she was known to all, was a longtime Washingtonian and devoted Redskins fan. She had a unique, unforgettable spirit and was well loved by all who knew her. Geri always had a smile for everyone she met. She will be greatly missed. Surviving are one brother, Philip Trickett (Virginia Frances) of San Antonio, TX; six children, Kathryn Steinmetz (Steve) of Grants Pass, OR, Brenda Dormer (Brian) of Frederick, Tom Middleton of Warrenton, VA, Maria Bellafiore (Vito) of Adamstown, Rebecca Paul (Greg) of Adamstown, and Keri Givens (Alex) of Hedgesville, WV. She was the proud grandmother of 14 grandchildren, and one great-grandson. She is also survived by her former husband, Floyd Middleton. She will be remembered by her former daughter-in-law, Sandra Middleton. She was predeceased by her brother, Allen Trickett, Jr. The family will receive friends from 2 to 4 p.m. on Sunday, February 10, 2019 at Stauffer Funeral Home, 1621 Opossumtown Pike, Frederick. A Mass of Christian Burial will begin at 10 a.m. on Monday, February 11, 2019 at St. John the Evangelist Roman Catholic Church, 118 E. 2nd Street, Frederick.